Image: Maureen Eggmolesse (Byellee), Ben Ghee (Torres Strait Islander), Richard Johnson (Gooreng Gooreng) and Immanuel Beezley (Kabi Kabi). Photographer: Katrina Elliott. Led by local artist, Katrina Elliott and facilitator, Melena McKeown, Four Yarns is a continuation of The LinkProject that began in 2009 as collaboration between older and younger generations of local Aboriginal & Torres Strait Island people. 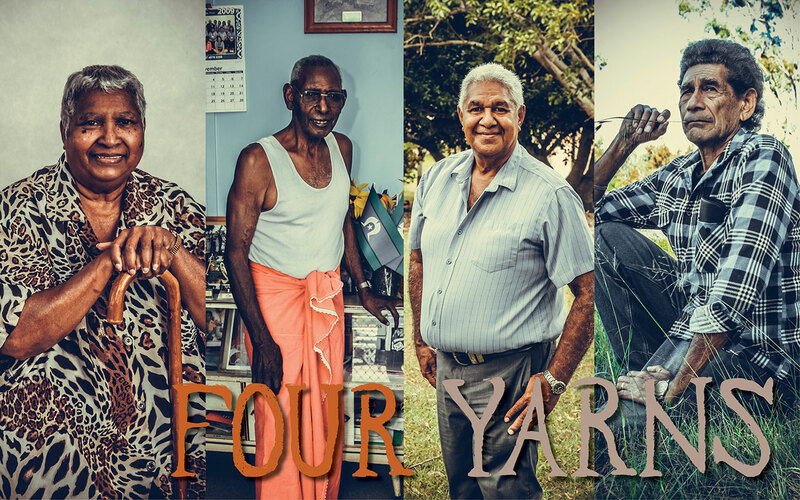 Four Yarns furthers its mission to instil the importance of sharing culture through oral history recordings. 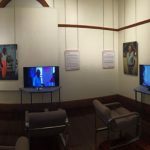 Featured within the exhibition are stories from Maureen Eggmolesse (Byellee), Ben Ghee (Torres Strait Islander), Richard Johnson (Gooreng Gooreng) and Immanuel Beezley (Kabi Kabi), in conversation with young people. The exhibition includes photographic portraits and video footage of the yarns.